I think I’m not alone when I say 2016 has been a really tough year and I won’t be sad to see it end. Today, I thought I’d finish on a high note, with an awesome box that is long overdue for its review from Drift Away Coffee. 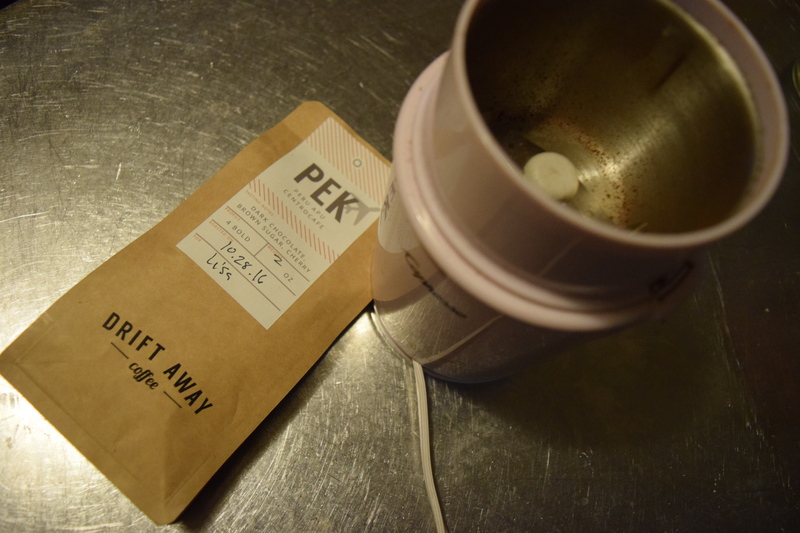 Drift Away Coffee is a personalized coffee subscription. You start with the tasting kit that features four coffees from around the world. You download the free Drift Away Iphone app (or visit driftaway.coffee/fave) and as you try each coffee, you can type in your notes and rate the coffees you tasted. This helps Drift Away match coffee to your taste preferences. For all plans, the first delivery is a tasting kit, which features 4 two ounce bags of and is the box I’ll be reviewing today. For new subscribers, a tasting box will only set you back $8.00. First, you would select how much coffee you want (7 oz, 11 oz, or 32 oz) and the frequency (Every Week, Every Other Week, or Every Four Weeks). My sub came in a really cute bag. 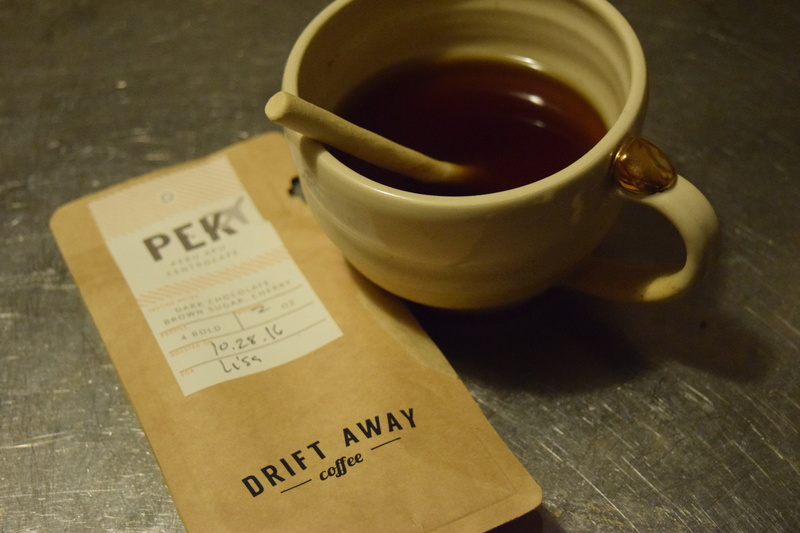 I love the name “Drift Away Coffee” although it makes me think of that show the OA, which I recently binge-watched. That show was like trying to do a word problem in high school. Like you have a vague idea what is going on you until you realize this crap is actually requires formulas you didn’t bother memorizing. What I really liked about the cards was that each bag corresponded to a flavor profile – Fruity, Classic, Balanced, and Bold. Fruity: Light roasted African coffees, typically with delicate, fruity or floral notes. Classic: Medium roasted coffees, usually from South America, with chocolatey and nutty notes. Balanced: Light-medium roasted coffees, usually form Central America, that balance chocolate & fruity notes. Bold: Dark roasted coffees from around the world, with bold, rich, flavors. I opted to try out the “Bold” flavor because go big or go home right? Now, I’m not a huge coffee drinker. It’s not part of my regular routine – I prefer to have a really good cup once in a while rather than drink it every morning. 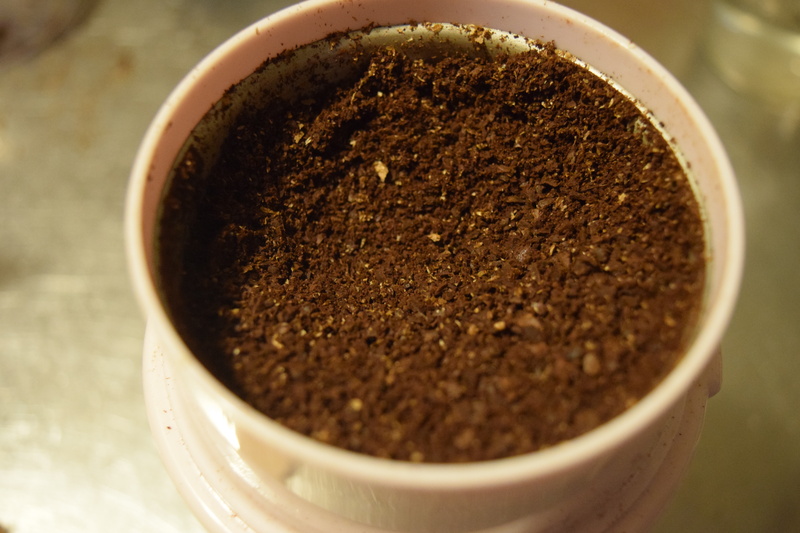 I pulled out my coffee grinder from obscurity and got started. After I ground up my coffee, I brewed it in…I know this will be sacrilege, but I’ve got a refillable pod for my Keurig. (Gasp! I know, a Keurig, not a French press or a beaker with a reusable unicorn filter, or whatever the hipsters go for these days). I tried the coffee black and then with a bit of milk and sugar. Both ways, it was lovely. I definitely got the “bold” flavors, but it didn’t have that acidic or burnt aftertaste I find with stronger coffees. I was able to download the Drift Away app easily on my Iphone. I didn’t continue through it, only because you need to sign in – presumably with your info from the site. Since I received this box free for reviewing purposes I couldn’t do that. As I mentioned I’m not huge into coffee, but I thought this was a really great box. The packaging was nice, the price is reasonable for upscale coffee and I thought it had a nice variety. I’ve tried other coffee subs and I like how Drift Away kept things simple. The four coffee profiles were easy to understand. 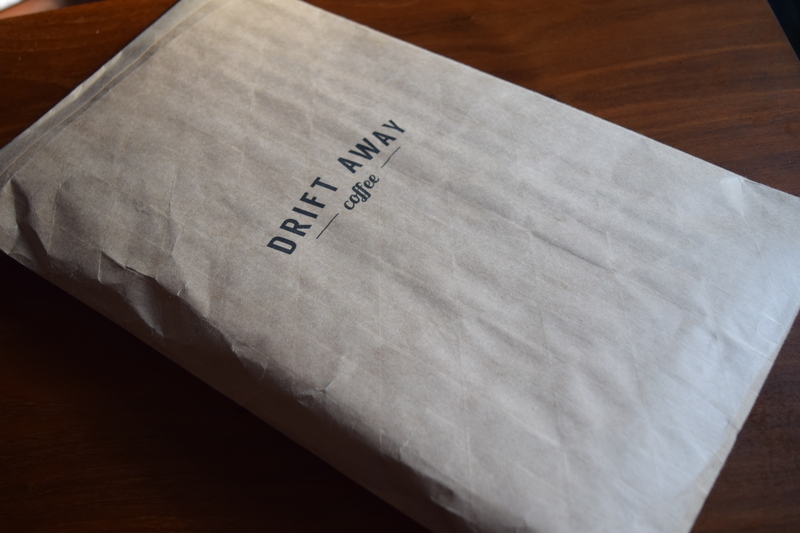 The only downside I can see is that Drift Away only offers whole beans – but since that’s what most coffee aficionados want, it’s not a big issue. If you’ve got someone on your list who adores coffee and is otherwise hard to shop for, consider giving them a gift subscription to Drift Away in lieu of a Starbucks gift card. Would you enjoy a coffee subscription? 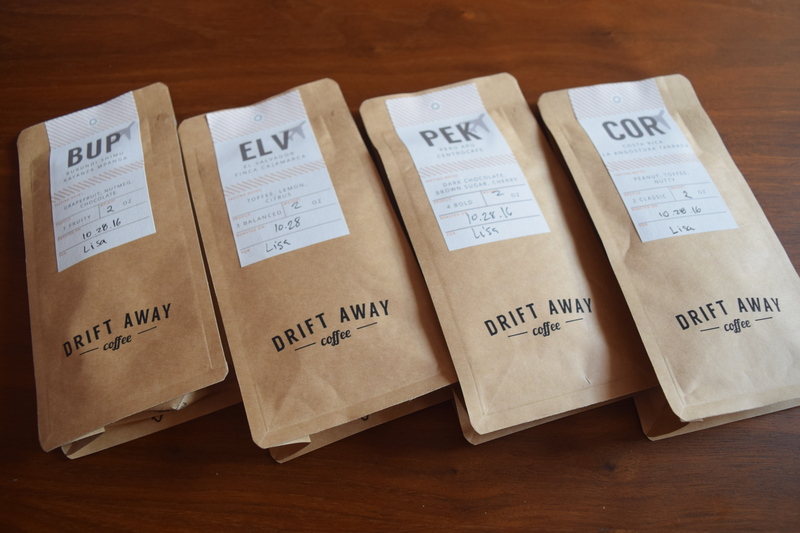 Drift Away Coffee is a personalized coffee subscription. For all plans, the first delivery is a tasting kit which features 4 two ounce bags. You use the free Drift Away app to rate each coffee and customize it to your taste. You can select the frequency from “Every week”, “Every other week”, or “Every Four Weeks”. They also offer gift subscriptions, the ability to purchase individual bags and options for offices.